It's a sign of something promising when the pre-ride press conference for a brand new 150cc motorcycle makes almost no mention of mileage. After about twenty minutes of exciting talk of GSX-R lineage and sportiness (no talk of commuting either), the presentation finally moved to economy. It turns out that besides the claimed sportiness, the Gixxer also happens to be one of the most efficient bikes in the class, returning a claimed 63.5kmpl. The Gixxer was looking very promising indeed. In fact, it doesn't just look promising, it looks pretty handsome as well. There's no surprise here, we've all seen the bike at the expo and on Suzuki's website. But up close you notice and appreciate the finer details. First off, the Gixxer is muscular but minimal, the Bruce Lee of 150s if you will. Swing a leg over and the wide grooves in the plastic tank provide great leverage to grip the motorcycle with your thighs. The Gixxer is also the first sub-250cc bike that gets Suzuki's smart twin port exhaust. 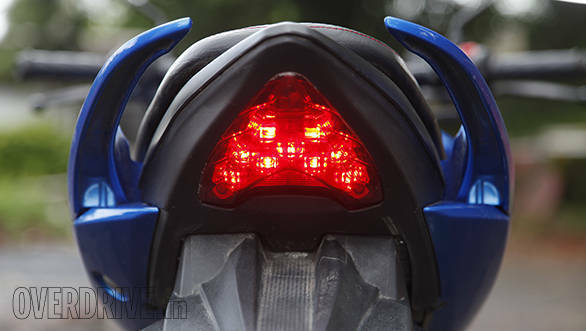 Turn the GSX-R inspired key and the fully digital display lights up in orange. The dials are one of the best in the category with two trip modes, a gear position indicator, shift light and a digital clock on display. Fit and build quality are up to the mark but what I didn't like were the faux bar end weights that move out of position quite easily. Suzuki offers five colours, which coupled with the lack of unnecessary graphics, make for one very smart looking motorcycle. Our first experience with the Gixxer was through slushy and broken roads while getting out of Pune and the bike made a fantastic first impression. 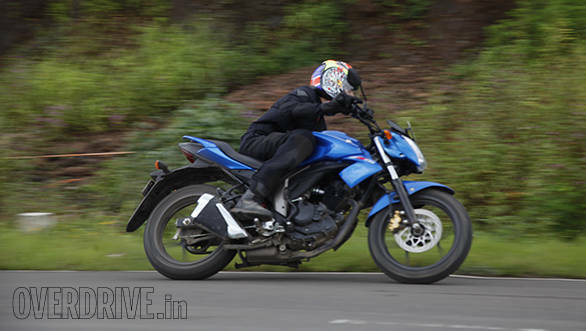 Suzuki has managed to give the chassis a taut feel without sacrificing ride quality. The 135kg bike feels nimble, but stable and potholes simply don't filter though harshly enough to make you want to stand on the pegs. The Gixxer just resolutely rides ahead, regardless of the road conditions. Eventually, we were out of the mess that is Pune and hit the highway. 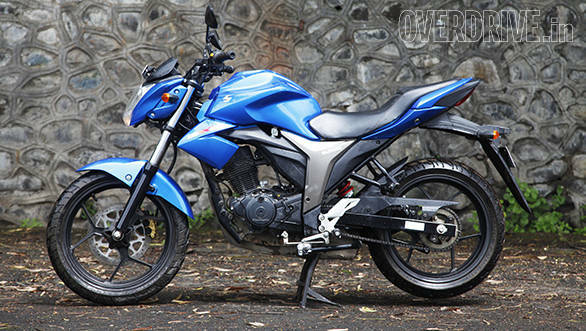 In town, the 155cc engine showed great low down flexibility and a very strong mid range. After all, 14.8PS and 14Nm are among the highest number in the segment, particularly when it comes to torque. On faster roads, there are two things that stand out. The first is that the Gixxer makes an interesting noise. There's lots of intake roar, and the bike produces a rather loud note that is reminiscent of an RTR's thrashy tune with some bassy blat from a KTM. It's a nice noise that turns a few heads when you're at high revs. Secondly, with such a meaty mid range I wasn't expecting much from the top end. However the Gixxer develops a small but sweet surge at 7,000rpm before tapering off just below 9,000rpm, leaving the final revs below the 10,000rpm redline a bit flat. I managed to see 107kmph but I think the bike will top out at about 115kmph. So it's not significantly faster outright than its rivals but it does have a lovely mid range surge that most of them lack. All through, the engine feels refined and unstressed with almost no noticeable vibrations. In fact, Suresh Babu, the national head for product planning and a man who's put countless hours on the Gixxer during its development phase, says the engine actually has more to give. Suzuki lowered the top end a bit and restricted the air box (apparently the intake roar was much louder earlier) to improve rideability. In other words, it shouldn't be too hard to safely extract more power out of this engine with some simple modifications to the intake, exhaust and carburettor (no fuel injection here). Not that Suzuki would ever condone such modifications. But like our riding route, the best part of the Gixxer was saved for last. As we turned off the highway and made for the brilliant riding roads towards Lavasa, all that talk of GSX-R spirit and sportiness started coming through. The subtly sporty riding position with slightly rear set footpegs and a lowish handlebar caused no complaint in the city but created a great connection with the bike on these smooth and winding roads. 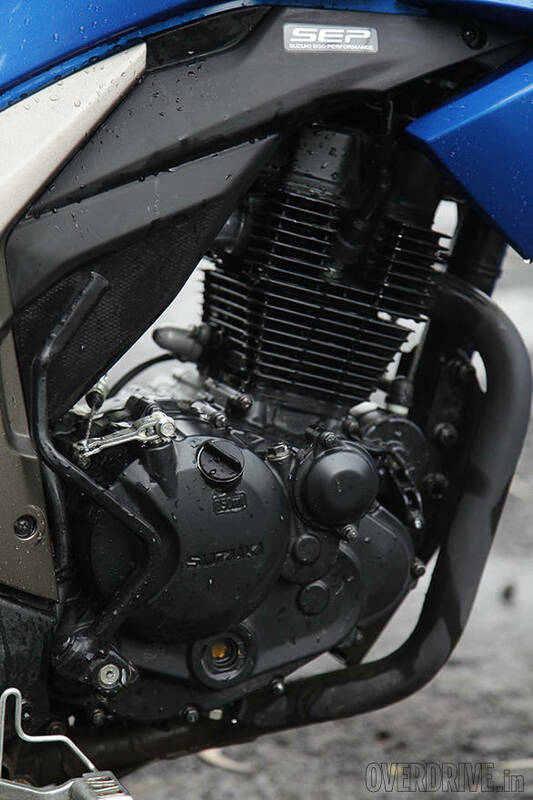 The conditions were far from ideal with rain lashing down but the Gixxer wasn't fazed. The 41mm front forks result in superb front end feel and you can really lean on the 100 section front tyre, even in the wet. The front disc provides strong, progressive bite but needs a bit of a pull. Some more initial bite would have been nice. Once you get used to that you can really begin to push the Gixxer and she rewards with confidence, stability and eagerness. 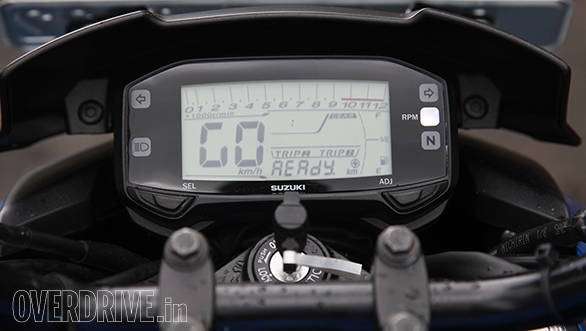 A lot of you were unhappy with the fact that the Gixxer doesn't get a six-speed box like the GS150R. However, the five-speed box is smooth, precise and well geared. It perfectly matches the motorcycle and doesn't leave you looking for another gear. All said, the Gixxer is a very capable and encouraging motorcycle that will urge you without scaring you. I haven't had this much fun on a 150 in a long time and the Gixxer should be a proper tool in the dry. Suzuki has a fantastic machine on their hands. There's very little to dislike - bar ends aside, I'd have liked the rider's foot pegs to be metal like the ones for the pillion. That said, the Gixxer ticks the right boxes. It looks hot, handles very well without sacrificing on ride quality and has a very potent motor. We will have a full test soon where we can ratify Suzuki's efficiency claims. If accurate, it shows you don't need to go down the expensive and disappointing route of fuel injection and reduced power to get more efficiency. And at Rs 72,200 ex-Delhi, it undercuts the Yamaha FZ by a good Rs 4,000. There's good times ahead for Suzuki.